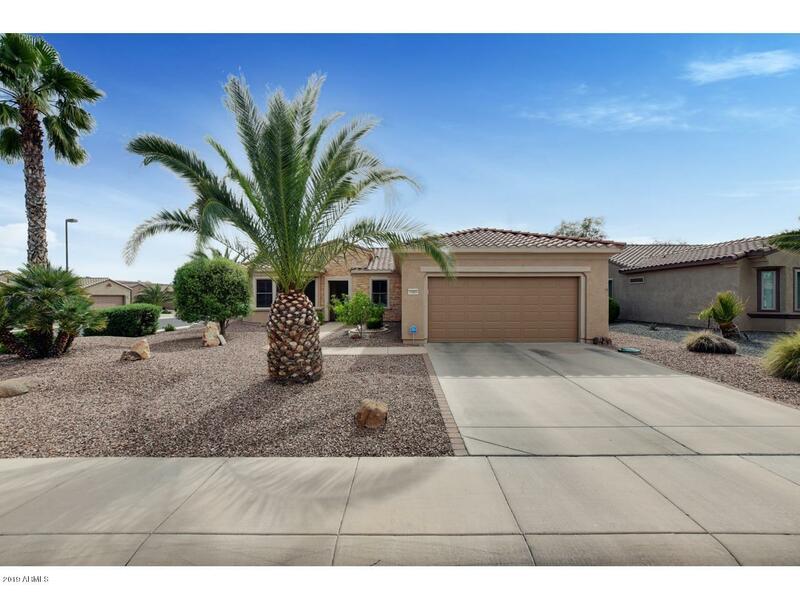 All SUN CITY GRAND RINCON homes currently listed for sale in Surprise as of 04/23/2019 are shown below. You can change the search criteria at any time by pressing the 'Change Search' button below. "Stunning 2019 sq. ft. Sierra located on a quiet street in Sun City Grand. To appreciate this renovated contemporary home please schedule a visit. The home has plantation shutters on windows along with tile and plank flooring which offers low maintenance. The remodeled kitchen now has granite counters,new cabinets,accented ceiling and new light fixtures along with stainless steel fridge,dishwasher,microwave and gas stove.The great room has modern accents on walls and ceilings and a designed med"